EAW has announced that its JFL210 Compact Constant Curvature Line Array and compatible sub, the JFL118 Subwoofer, are now available to purchase. Ecler is introducing a new series of speaker cabinets, Verso. Cerwin-Vega! announced the appointment of Erikson Consumer as the company’s representative for its home speaker products in Canada. Cerwin-Vega announced the Cerwin-Vega Passive (CVP) loudspeakers. 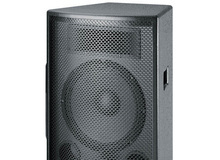 The CR1 is a 3-way sound system, designed to provide medium output, cinema and A/V sound reproduction. MILLS Acoustics announced a reduction of their retail product pricing. EAW has announced that the new JFL210 Compact Constant Curvature Line Array is now shipping and will be available in EAW warehouses worldwide in mid-October.